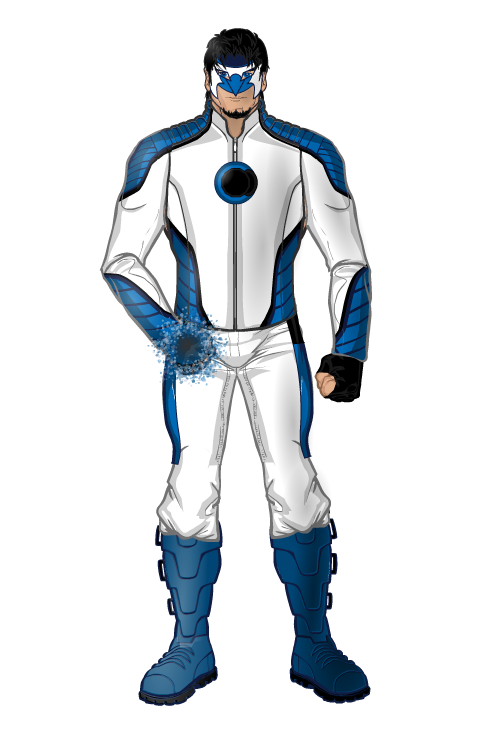 Thanks and here is Tyler Vasquez, also known as the hero Concussion. He can fire concussive blasts which he uses to land super powerful hits and superhuman leaps. He also has a automatic forcefield which keeps him mostly out of harms way.